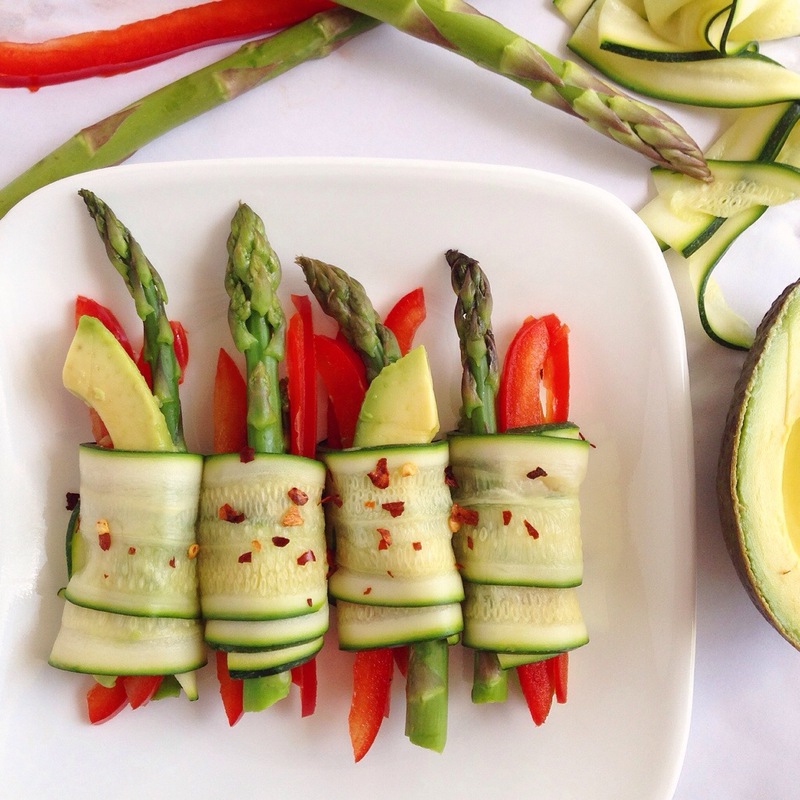 Zucchini Rolls. | Eat More Plants. I’d love to lie and say that this flavor combination took an incredible amount of thought, but it didn’t. It was just a few things I had bought grocery shopping that didn’t fit in the fridge, rolled into a neat, little package. I sliced some zucchini on my mandolin; you could use a regular veggie peeler too. Blanched it quickly for extra flexibility, no more than 10 seconds and straight into an ice bath. Filled with sliced avocado, red bell peppers and (also quickly blanched) young asparagus. Don’t use big, thick stalks; they’ll be too tough. A squeeze of lemon on top, pinch of pink salt and some red pepper flakes. This looks beautiful! I might have to dust off my mandolin slicer and experiment with some zucchini rolls- it’s such a cute idea! I love making veggie rolls! Zucchini is my favorite to use because of it’s versatility. Cucumbers work great but they have such a distinct taste; the zucchini fits in almost any flavor profile. 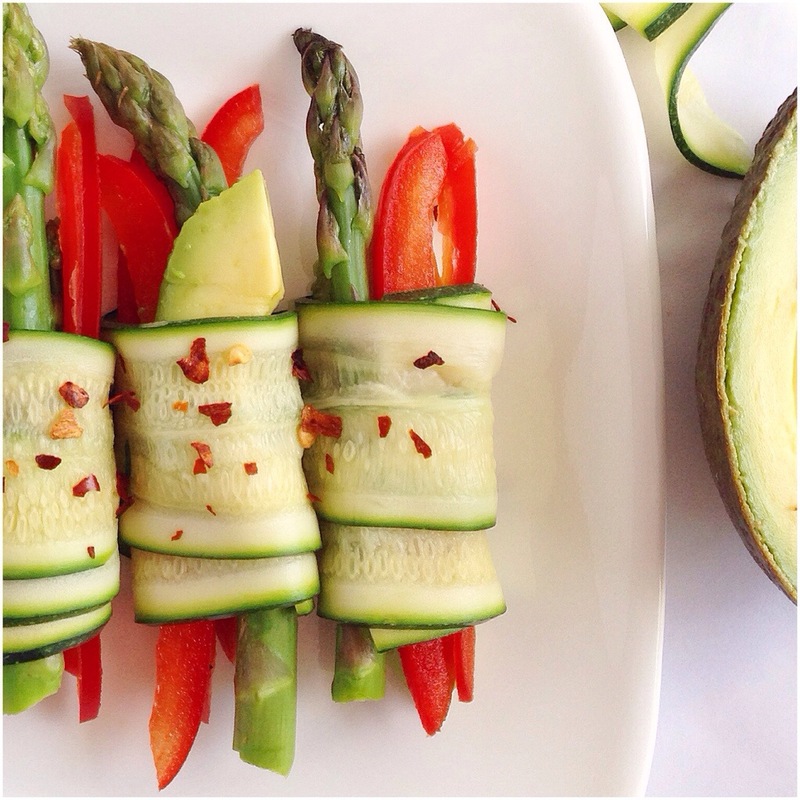 What a fantastic idea to use zucchini! Looks so decorative too! 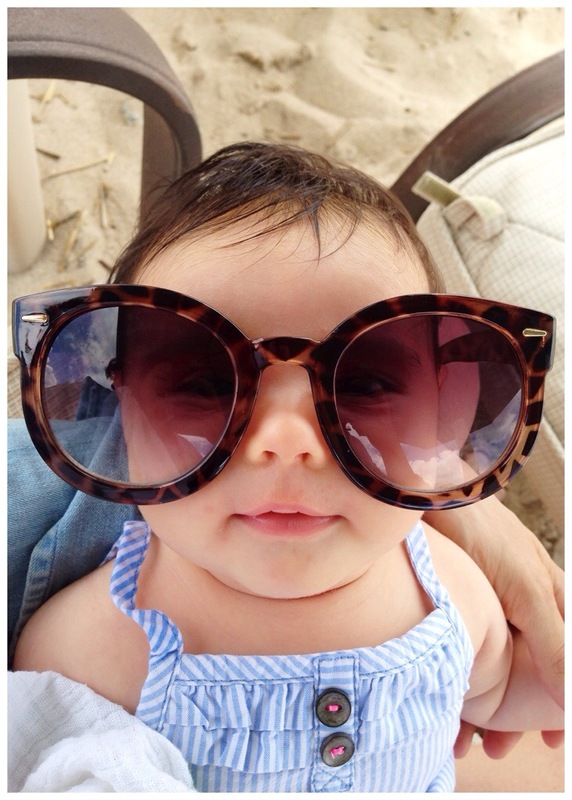 ps cute baby! I love the simplicity of this recipe, it’s lovely!